Pressure is an important aspect of physical force systems. It can have a profound affect on the body from both external and internal forces. 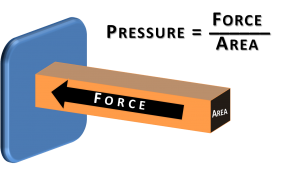 The results of pressure depends on many different variables, indluding: the body position, type of external force orientation, and medium through which the force is applied. Manipulating these variables can help a clinician to use pressure as a therapeutic stress as opposed to a noxious stimuli. 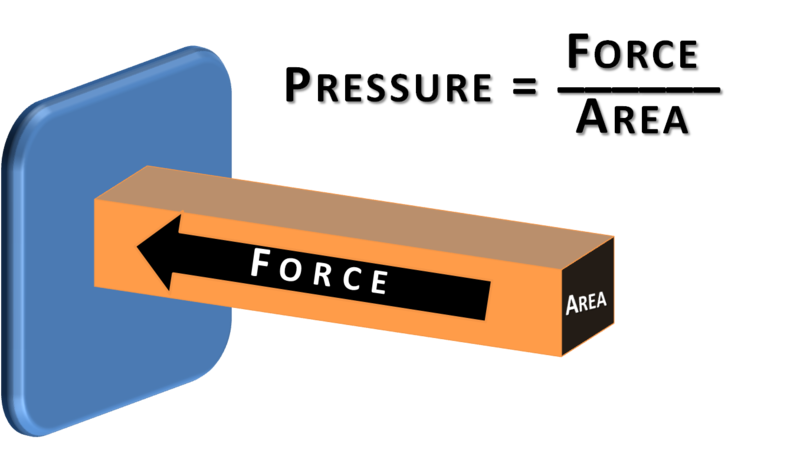 Pressure is the force per unit area applied in a direction perpendicular to the surface of an object. It is proportional to force and inversely proportional to area. Manual techniques and soft tissue mobilization is a great example of pressure in clinical practice. When performing any manual technique always pay attention to the amount of contact area your hands are producing. A broad surface is much more comfortable for the patient then a pointy finger (increased area to disperse pressure). As Tom Myer’s advises, melt tissues with your finger pads, don’t push with your pointy finger tips. Another practical application is with joint surface area contact. The less joint range of motion, the less the joint surface area contact, the more pressure localized in a focal area. This may lead to decreased joint lubrication and nutrition, impaired accessory joint motion, and possible accelerated chondral damage. Studies showing the increase in knee osteoarthritis after a meniscectomy are largely based off of this principle. Osteokinematics are also greatly affected by pressure, especially when a sesamoid bone is involved. The patella is a great example of this. The patella facets have a increased surface area in contact with femur as knee flexion increases. This allows for the forces to disperse over greater area during movements that create high forces (stairs, squatting, etc.). Towards 20 degrees there is little contact, therefore any force would result in greater pressure. 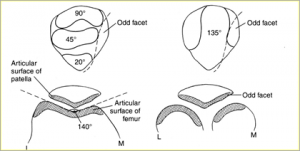 Patella surface contact area with knee flexion. Decreased area would result in greater focal pressure. Pressure plays a great role in clinical practice with both intrinsic and extrinsic factors. Keeping this in mind may prevent unwanted noxious stimuli to your patient. Thanks for your researches and clarification upon biomechanics; or the application of physics to human body mechanincs. I searched it to understand my sport theoretically. My sport is Aikido. Aikido technics use these rules exactly. I don’t know if you cross checked your searches with Aikido philosophy and technics. I kindly advise. I just wanted you to know that this is amazing! I hope you have a world of good karma heading your way. Honestly, thought I was failing and read over your notes. Words cannot express how thankful I am I came across your page.